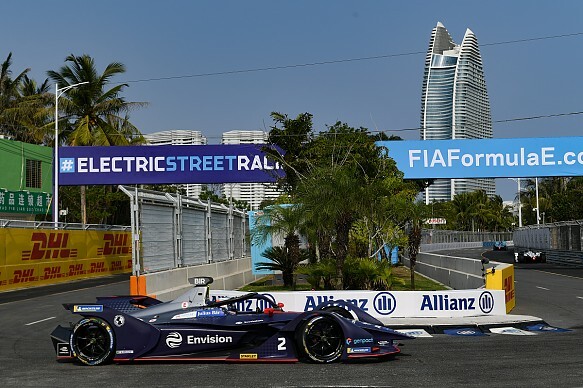 The track for the inaugural ABB FIA Formula E race at Sanya has been specially treated in a bid to avoid the major surface break-up seen in Santiago, Autosport understands. Santiago's layout in O'Higgins Park featured a mix of newly laid asphalt and concrete areas, which is similar to the Sanya circuit FE is racing on this weekend at Hainan Island's Haitang Bay. The Sanya circuit is a combination of new-asphalt surface for most of the first sector, and existing public roads throughout the second and third sectors. Santiago's surface broke up heavily during the race due to the intense heat in the city that weekend in January. 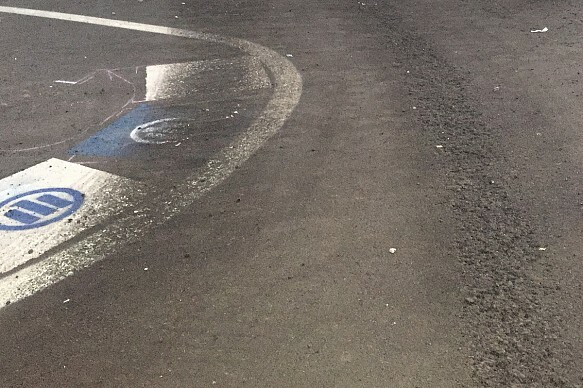 The cars carved a noticeable path in the asphalt at the high-speed turns and heavy breaking zones, as seen in the picture below. The FIA confirmed to Autosport that FE and officials from the governing body had conducted an investigation into that race and, as a result of their findings, decided to treat the surface at Sanya pre-emptively ahead of the event. BMW Andretti driver Alexander Sims noted that this included a "resin type material" and sand. "[The track] looks pretty good," Sims told Autosport, when asked about the new venue. "Nice long straights, should be a bigger challenge in terms of energy during the race, assuming it stays green. "Track surface looks good - interesting [that] they seem to have put some resin type material down on some corners with a bit of sand to try and stop the same situation as we had in Santiago. "Interesting to see how that interacts with the tyres and progresses over the weekend. [It] looks cool." While conditions at Sanya are not predicted to reach the 37C peak that occurred in Santiago, the hot temperature and high levels of humidity could have a possible impact on tyre performance, according to DS Techeetah driver Andre Lotterer. "[The track] looks interesting, it will be tough on energy management, which will create some strategy opportunities and some more civilised overtaking due to the longer lift-off zones," he told Autosport. "It's hot and humid so that will play into the tyres. In terms of layout there doesn't appear to be anything very tricky, it's nicely done. Let's see what it's like in the car." The Sanya track is over 15 miles outside of the city - which is the capital of Hainan Island - features just 11 corners and has two long straights separated by a hairpin in the final two thirds of the lap. Envision Virgin Racing driver Sam Bird, who won in Santiago, reckons the layout could "promote a bit of overtaking". "It'll be quite a high-pace tempo," he continued to Autosport. "Attack mode is different - it's a bigger time loss [on the outside of the Turn 3 left-hander beyond the pit exit]. "That's good as well, so there will be different strategies, not just people diving in [at the same time]."